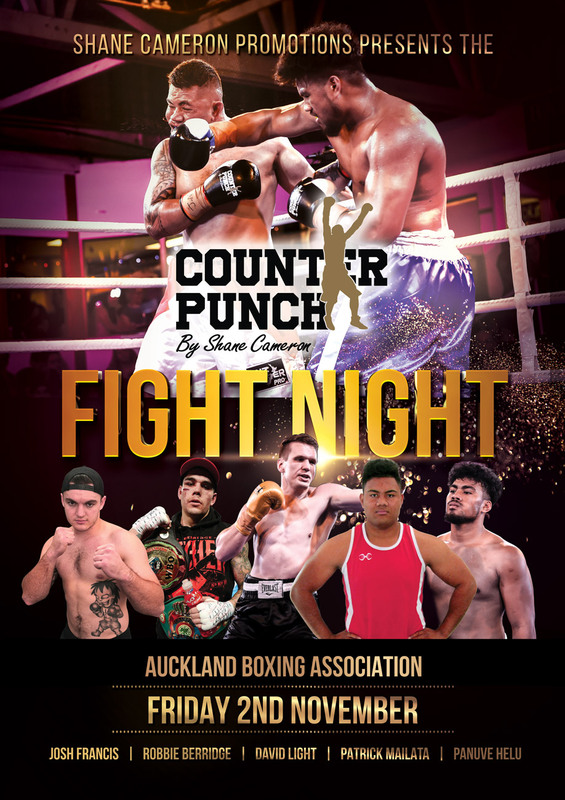 Shane Cameron Promotions presents the Counterpunch Fight Night! Undefeated David Light headlines stacked line up of exciting fighters. Light will face Fijian Savenaca Navila. Watch Patrick Mailata make history on his professional debut! And crowd favourite light heavyweight Robbie Berridge will have fans roaring with his brutal style of fighting. Other fighters on the card include Panuve Helu and Joshua Francis plus male and female corporate fighters who are training hard to impress on the night! © 2019 Ticketbooth New Zealand. All sales are final. Tickets are non-refundable.